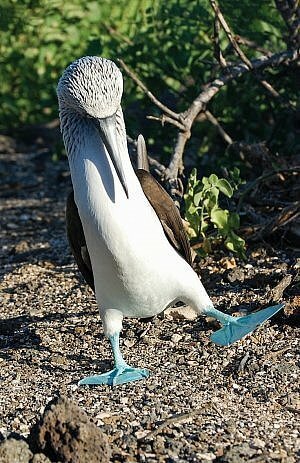 When you start looking into your big bucket list trip to the Galapagos Islands of Ecuador, the choices can be overwhelming. When to go? Which islands? How long? What kind of ship? This is a case where if you go in blind and try to figure it all out yourself, you had better have a lot of time on your hands. With close to 200 ships licensed to ply these waters in some form or another, and many times that many companies selling tours, you need a filter. 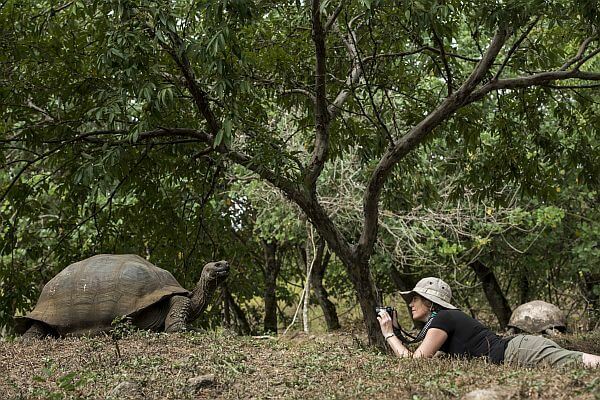 Your best bet is to book with an operator who has been showing off the wildlife here for decades, a company like Go Galapagos. Formed from a 2014 merger of two tour companies with a long history, Go Galapagos combined the deep benches of experience at Klein Tours (founded in 1970) and Gala Tours (founded in 1983). Based in Ecuador, the company employs some of the most experienced captains, guides, and crew in the country. At this point they have served more than 69,000 travelers: singles, couples, families, and groups. Itineraries are tightly controlled in these fragile islands to minimize man’s impact. Ships have a specific schedule to avoid crowds and bottlenecks. The best tour companies go beyond the conservation minimums though, which control what food can be served (no invasive berries, for instance) and how many tourists can land on any given island at one time. Go Galapagos has desalination equipment on its ships to produce water directly from the ocean, with ultraviolet purification systems to provide clean drinkable water going into reusable water bottles for guests so there is no single-use plastic. The company also uses refillable toiletry dispensers and separates/collects anything that can be recycled back on land. The company offers two types of ships for cruising the islands: one 100-passenger ship and two yachts. The advantages of the large Galapagos Legend ship are a more stable cruise from a ship that’s 301 feet long, larger public areas (including an outdoor auditorium), more cabin types, a hot tub, and a pool. The ship was just renovated in 2017. The Coral 1 and Coral 2 yachts have 18 and 11 cabins, respectively. These allow a more intimate experience where you can get to know your shipmates better and they can get into smaller coves. With a smaller number of passengers, there’s not such a need to stagger the zodiac departures over several hours. The smaller ships are better for groups traveling together or a large multi-generational trip where you want to have most or all of the cabins to yourself. They do have outdoor decks, a bar area, library, and hot tub. 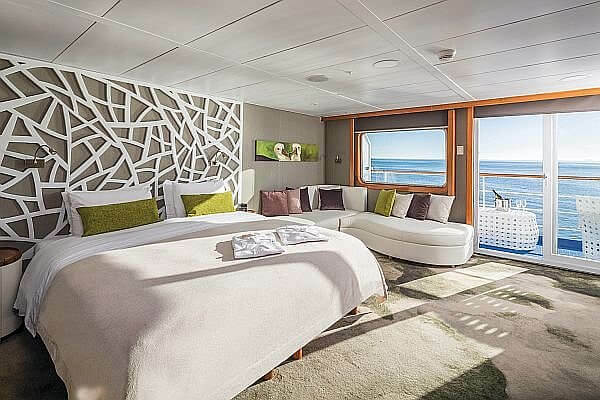 If you’re going for a real luxury experience though, book a premium suite with a balcony on the Galapagos Legend so you’ll have plenty of room to stretch out. The Legend Balcony Suite is the size of a real hotel room, with a sofa for lounging and a furnished balcony. For detailed information on the itinerary choices, the ship options, and cabin layouts, see the Go Galapagos website. Naturally the company can also set up mainland tours and transfers so you can see more of Ecuador while you are in South America. Go Galapagos is an advertising partner of Luxury Latin America, but as always, all opinions are our own. 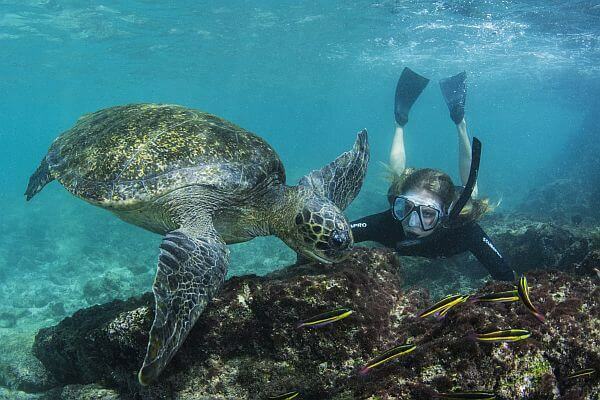 See more on the region from our Luxury Galapagos and Ecuador Travel section. The Four Key Questions for Planning a Galapagos Islands Cruise The Revamped Galapagos Sea Star Journey Ship Sails With More Style Exploring Ecuador and Peru with Marcel Perkins of Latin Trails Oh, the Animals You Will See in the Galapagos!